If Porsche continued to develop the 928, what would it have evolved into? This project ended up being one man’s idea of what could have been but not without problems along the way, some of which would make most people give up right there and then. I met up with Phil Rickard for a photo shoot and to hear about his project. Phil is a mechanic by trade and had previously owned and maintained an S4 and a GT. Smoking was banned in public places on the 1st July 2007 so Phil decided to try and give up but also find something else to do. He looked for something that needed some TLC and found a 1990 928GT that looked and drove OK in Guards red with black interior. 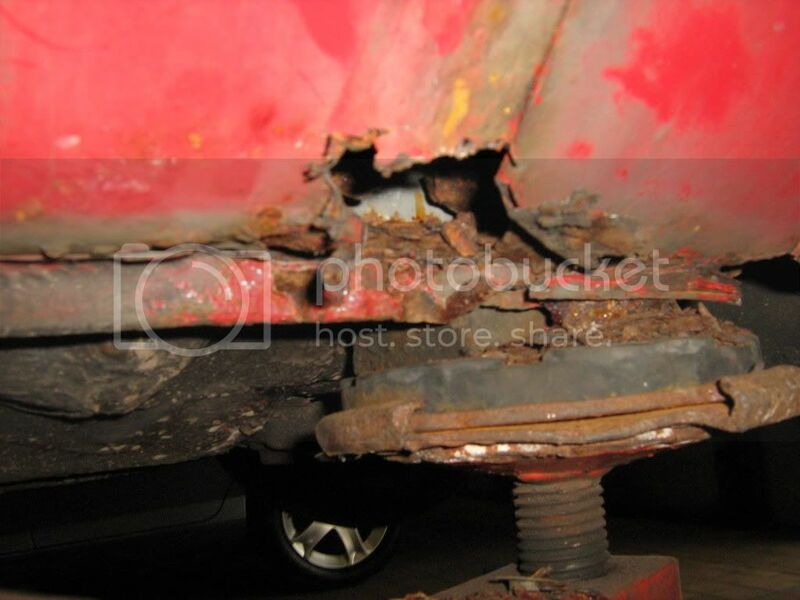 Even though the body is galvanised when up on the lift Phil discovered rot in the sills, rear quarters and part of the floor where the handbrake cable enters the car. Wondering if someone left it parked in the sea Phil contemplated what to do next; break it for spares, sell it on or weld in patches? The decision was to do it properly. Body wise and seeing as parts were still available from Porsche, they received an order for 2 GTS rear quarters, 2 sills, and a fixed roof skin to delete the sunroof plus roof liner. The windows, trim and interior came out and it was wheeled over the road. The body shop deleted the rub strips, rear wiper and added some Jacquemond side skirts and fibreglass rear bumper both of which were smoothed into the body (with additional bracing on the bumper to prevent flex). They asked for the colour code and Phil realised he could have whatever colour he wanted. Lamborghini orange it was then! That’s several coats of white and several coats of orange with a metallic lacquer. It looks stunning, the depth of colour changes with the light. The trim looked OK on the original paint but not on the new so now on first name terms with the local Porsche dealer, an order was placed for all new window trims and rubbers. 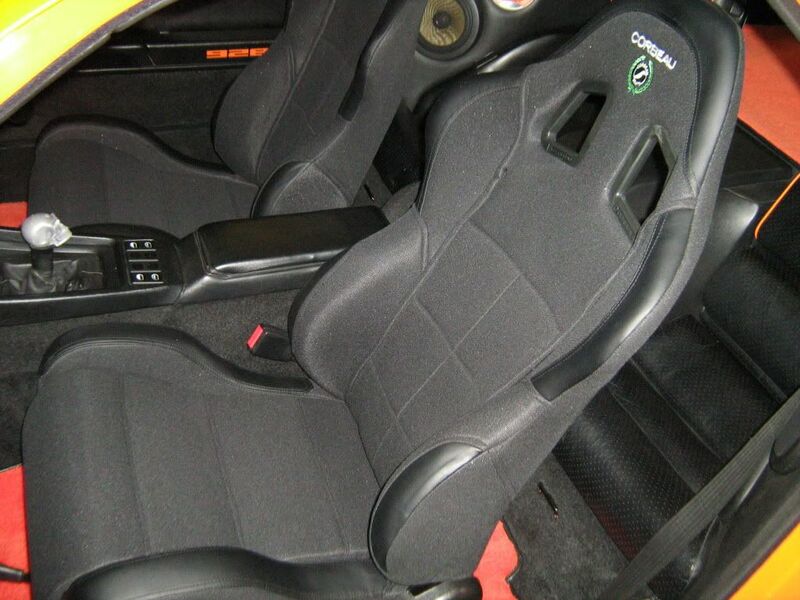 Exterior done, the next job was to lighten the unseen parts of the interior but still leave it looking like a 928. So followed many hours of trimming the looms back to the fuse panel removing the rear wiper, interior lights and all the sound deadening. It’s now 2008 and next on the list was cleaning all the interior parts and for further weight removal, fitting some Corbeau front seats. To go with the exterior colour some orange carpet was ordered from the US and sent to Southbound trimmers to make it OE standard fit. With the interior all fitted the next job was suspension brakes and exhaust. All components were removed (interior of wings painted orange) and fitted with new bushes and bearings, new Bilstein shocks and Porsche springs (Club sport on front). The callipers were refinished in orange on new disks and brake lines. Doing all of this properly is many, many hours of work. The gearbox and diff had always been OK so just a fluid change for those items. It’s now 2010, the engine bay is still red so the engine came out and everything left was cleaned, replaced or painted as required. The bay was painted black and new heat shield fitted on the bulkhead. An S4 engine was sourced, partly to keep the GT engine as a future investment but also to build one from the ground up. Everything was stripped, cleaned and fitted with new bearings and fresh cams. All the parts that could be were powder coated yellow as orange was not available. With the engine rebuilt Phil added a stage 2 supercharger from 928 motorsports in the US. Who would bat an eyelid at a modern Porsche with 500hp after all? The car ran well but after about 5 miles it started smoking for all the wrong reasons, thoughts are a custom made fuel pipe let go. Phil took some understandable time off from all things 928. The damage is not nice to look at. Chapter 2. A donor 90S4 was acquired and fortunately (being positive about it) the orange car's interior was not damaged so all parts forward of the bulkhead were removed and it was sent to the body shop again. They did a superb job, it looked like it did before and after many days of refitting all that was required was another engine. An order was placed for a short motor from the US; a 6 litre ‘stroker’ to be fitted with different heads and special cams. Donor parts from the S4 engine recently acquired were powder coated and fitted along with much better fuel lines. Another supercharger later (the original had fire damaged bearings) and all was ready to go for the second time. The new engine, I quote “didn't quite run as expected”. More on that later*. Roll on 2013 and sick of looking at a 928 that couldn't be driven Phil bought another S4 engine, he could have used the GT engine but as previously mentioned they can only go up in value. No one likes doing things twice let alone three times so Phil set about rebuilding the new engine taking the same care as the first time so that if it goes wrong there is only one person to blame. It took about 60 hours from crankshaft in hand to lowering the rebuilt engine into the car. The powder coated parts removed from the 6L are fitted to this engine and of course the supercharger. There is a misfire on commissioning traced to two bad injectors but apart from that hiccup all is running well and Phil finally has the car he dreamt of 7 years ago. Run in and oil change 1600 miles later and all is still good. Phil has added more miles travelling to meetings in the UK, some many hundreds of miles from home. The final car might not be to everyone’s taste, matching skull gear knob, valve caps and dipstick, orange paint, custom wheels and loud exhaust but you have to say the skill, time, money and effort is something to be commended and not under estimated. For the purists, Phil is now restoring one of 42 SE cars and if the orange car is representative then the SE will be absolutely superb. When I met Phil for the photos he gave me a ride in his car and I heard it drive away on full throttle. No other 928 sounds like it, nor have I been in one that pulls as strongly. If Thor owned a 928 then it would run and sound just like this one. Phil says it would not have been possible without the help of his boss David Hayton, parts guru Roger Tyson (928srus.com), Kendal OPC and of course 928.org.uk. *Dissection of the short ‘stroker’ engine found a misaligned oil ring on one of the pistons. It was shipped back to the US, the engine builder fixed the issue and sent it back to the UK. Phil may fit it again once the SE is done. The company responsible for the bad fuel line basically said prove it and as for giving up smoking, well that’s still ongoing.